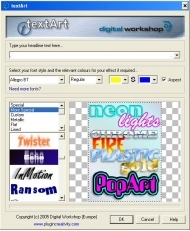 Create and customise over 350 special Text effects Quickly and Easily. Balances the life to be successful. Keeps up the wellness. Sound player ActiveX control with support for the most diffused formats. Free app gettings from the best in download webs sites! Use the popular software programs categories, check the most recent releases of the popular programs, and download at once! Do not toss away opportunity to recieve the best computer software: apply SoftEmpire website to setup programs for free of charge. Meet the library of free utilities and software demo versions. select among Windows and Linux programs, setup managers, games, and all other sorts of software for your notebook or cellular stuff! System Requirements: Paint Shop Pro, Photo Shop or any Adode plugin compatable program. Create and customise over 350 special effects for quick and easy title, banners and highlights. From Simple outlines, contours, dots and lines through PopArt Scribble, patch up and Comic Book to highly Polished chrome, gold Steel and even semi transparent effects such as glass and mist. Easy to use... Just type your line of text, select the effect and choose the colours and apply! Edit the results in Paint Shop Pro like any other image - add a drop Shadow or other effects rotate or resize. New in version 2 is a custom option, which lets you choose any image or texture as a basis for the effects. Easy-to-use video converter software. Convert from DVD chapters, 3GPP/3GPP2, ASF, AVI, DAT, DivX, DV, FLC/FLI animation, animated GIF, IVF, Matroska MKV, MOV, MP4, MPEG-1, OGG Media OGM, RM/RAM and WMV to iPhone.